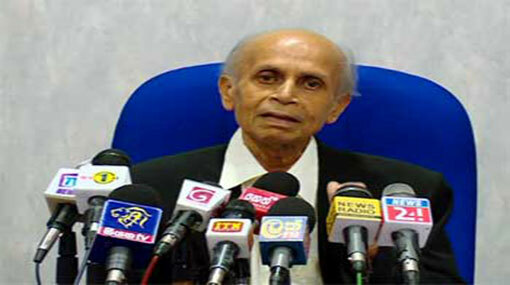 Professor Carlo Fonseka’s tenure as the Sri Lanka Medical Council (SLMC) President is due to end today (30). Professor Carlo Fonseka has held office since 2012 up-to-date. The Professor’s official tenure was supposed to end on December 31, 2016, as a SLMC President’s tenure is generally valid for a period of 5 years. However, the Ministry of Health took steps to extend his tenure by 6 more months. Accordingly, the Registrar of the SLMC, Dr. Terrence de Silva stated that the Council had already informed the Health Ministry about the vacating of the Council presidency. The Registrar added that the Ministry had not informed the Council as to whether a new President would be appointed or Professor Fonseka’s term of office further extended. Upon an inquiry made by Ada Derana from the Secretary to the Health Ministry, Janaka Sugathadasa, he stated that Health Minister Dr. Rajitha Senaratne had been duly informed and that the Minister himself would be making the final decision.